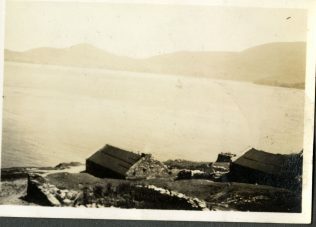 View over the island village, with felt-roofed houses, & the mainland in background. 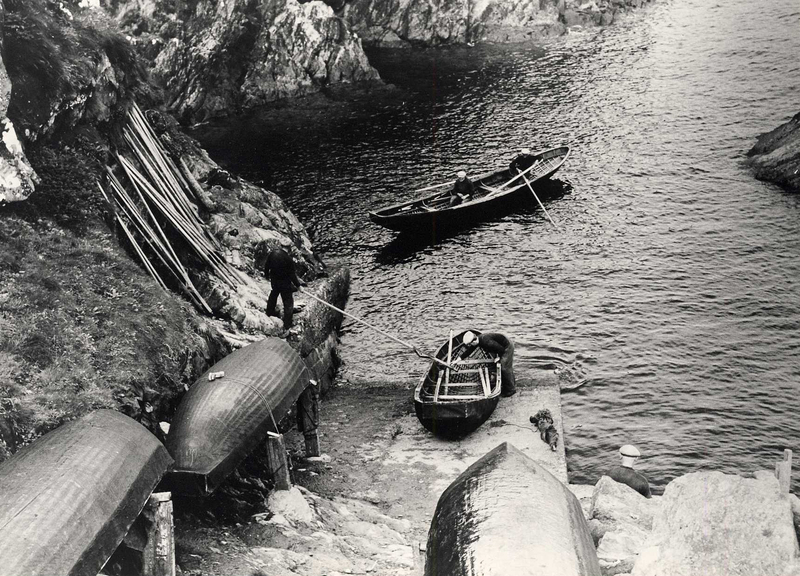 In November/December 1953 the last 2 dozen of what was once a bustling, vibrant community were evacuated from the Great Blasket Island and resettled on the nearby mainland, bringing to an end a continuous period of habitation of over 400 years. Life on the island had changed little in that period, the inhabitants depending on fishing, subsistence farming, fowling, rabbit & seal-hunting. From a peak of just under 200 people in 1916, the population gradually went into decline due to the effects of emigration, to a level which was no longer sustainable. The earliest evidence of habitation on the island is a cliff-top fortification called ‘An Dún’. There are also numerous early-Christian settlements on several of the islands, including The Great Blasket. Records indicate that the islands were inhabited during the 14th Century, and it is thought that there was a continuous settlement on the island from the 17th Century until 1953. The Blaskets are home to a huge variety of wildlife, with birds such as gannets, puffins, shear-waters and terns, seals, dolphins, whales and other marine species, and various types of fauna. 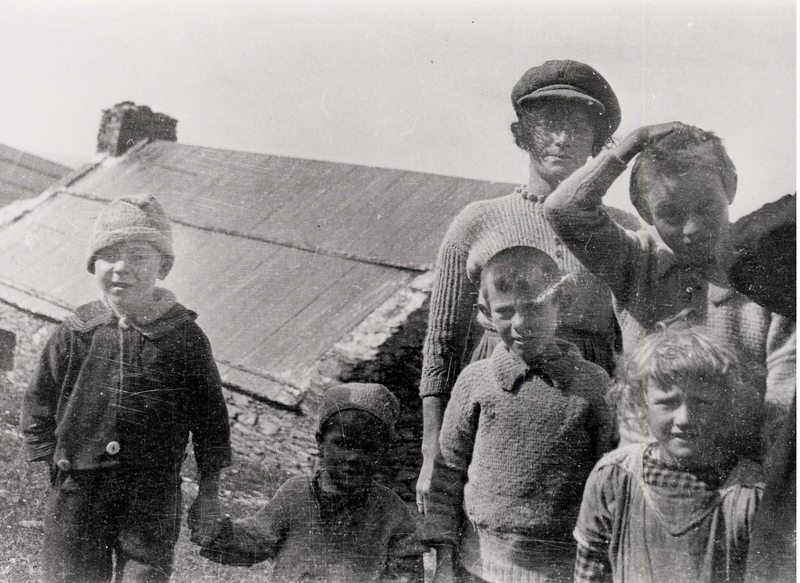 During the early 20th century the Great Blasket became a hub of Gaelic learning, as scholars from Ireland, the UK, European & Scandinavian countries came to the island to learn Irish. These scholars in turn encouraged some of the islanders to commit their folklore, culture and life stories to paper. This partnership between visitors and locals produced some of the most important works of literature ever penned in Ireland, works such as An tOileánach (The Islandman) by Tomás Ó Criomhthain, Fiche Blian ag Fás (Twenty Years of Growing) by Muiris Ó Súilleabháin, and Peig by Peig Sayers. The islanders wrote over 20 books in all, some of which have been translated to other languages. This library of books is a unique description of life on the edge of Europe during the first half of the 20th Century.